John James Audubon emigrated to the Philadelphia area from France to escape conscription into Napoleon Bonaparte’s army, and he settled on his family’s estate, Mill Grove, in 1803. 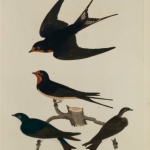 He studied and drew birds in the area and in 1804 conducted the first bird-banding experiment on eastern phoebes, an early spring migrant to the area. Audubon discovered that the birds returned to the same nesting ground every year, often reusing the same nests as the previous year. Between 1827 and 1839, Audubon published his master work The Birds of America, in which he described and painted nearly five hundred bird species, including twenty-five species new to science. 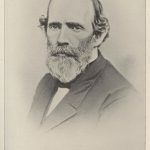 The work surpassed that of earlier ornithological pioneer Alexander Wilson, who also resided in the Philadelphia area for much of his career. Audubon’s Mill Grove estate in Montgomery County is home to an Audubon museum exhibiting all of his major works and a wildlife sanctuary. It also serves as the headquarters of the Pennsylvania Audubon Society. 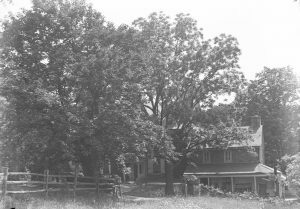 The village of Shannonville, where the estate was built, was renamed after Audubon in 1899. Posted by Lucy Davis on July 28, 2016 at 7:47 am. Bookmark the permalink. Follow any comments here with the RSS feed for this post. Trackbacks are closed, but you can post a comment.